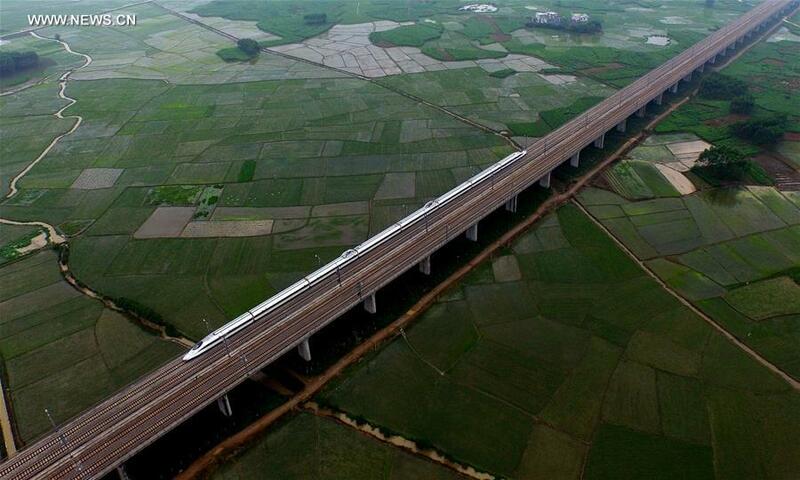 In recent years, the construction of high-speed railway well developed in China. 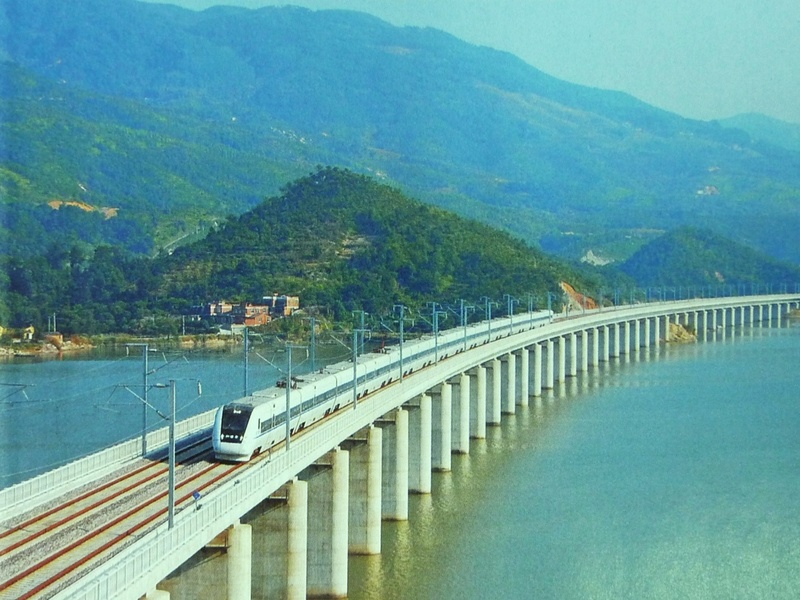 High speed train not only boosts tourism, economic development, but also changes lifestyle. High speed train has proved its advantages again during the travel peak season of the Spring Festival holiday. China has the world's longest HSR network with 19,369.8 kilometers (6,852 miles) of track in service as of December 2014 which is more than the rest of the world's high speed rail tracks combined. 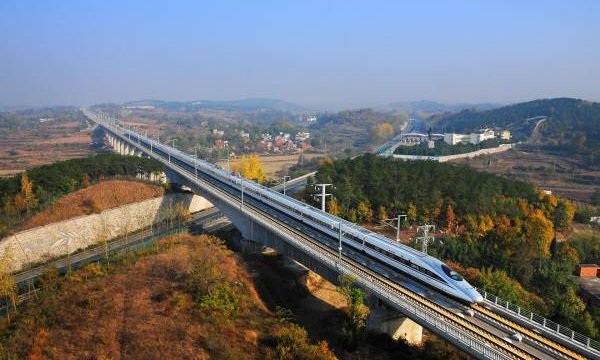 China's high speed rail system also includes the world's longest line, the 2,298 km (1,428 mi) Beijing–Guangzhou High-Speed Railway. 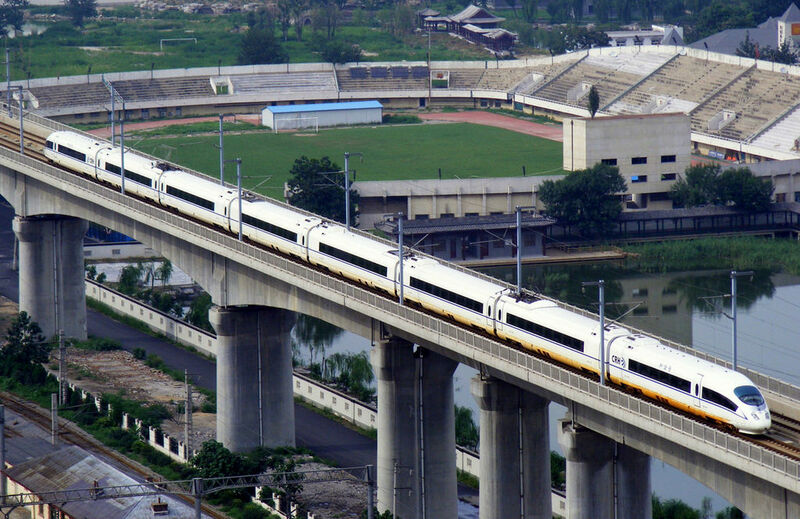 Since high-speed rail service in China was introduced on April 18, 2007, and with in this short span of 8 years, the daily ridership has grown tremendously from 237,000 in 2007 to 2.49 million in 2014, making the Chinese HSR network the most heavily used in the world. Cumulative ridership had reached 2.9 billion by October 2014. This outstanding ridership is set to overtake Japan's Tōkaidō Shinkansen, the world's busiest high-speed rail line with cumulative ridership of over 5 billion since began service on 1 October 1964. 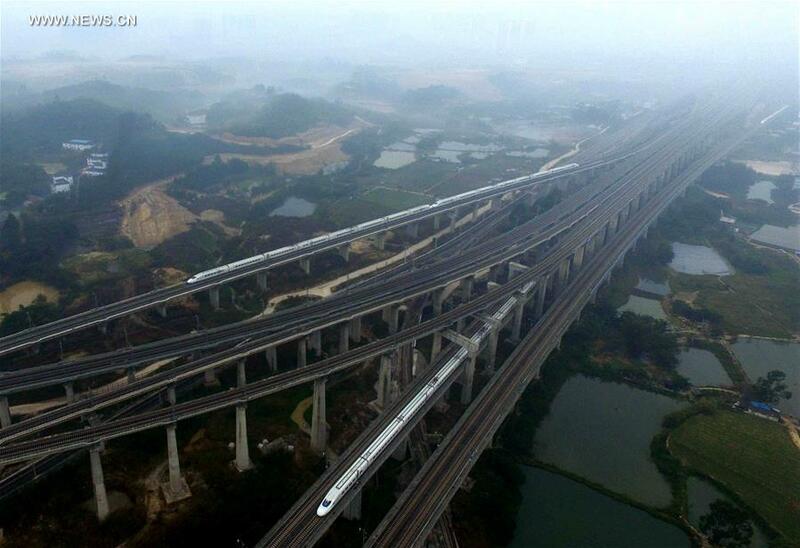 Over 85% of track on the Beijing–Tianjin Intercity Railway is laid on viaducts. 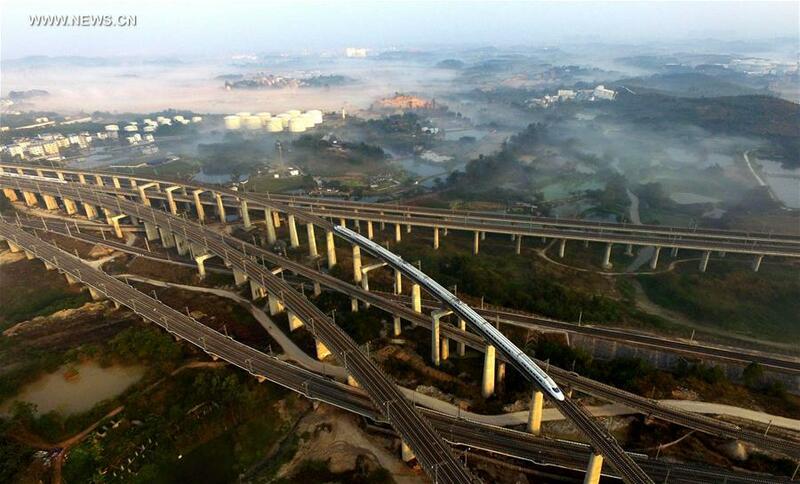 Chinese builders use elevated lines to keep high-speed rail tracks straight and level over uneven terrain, and to save on land acquisition costs. 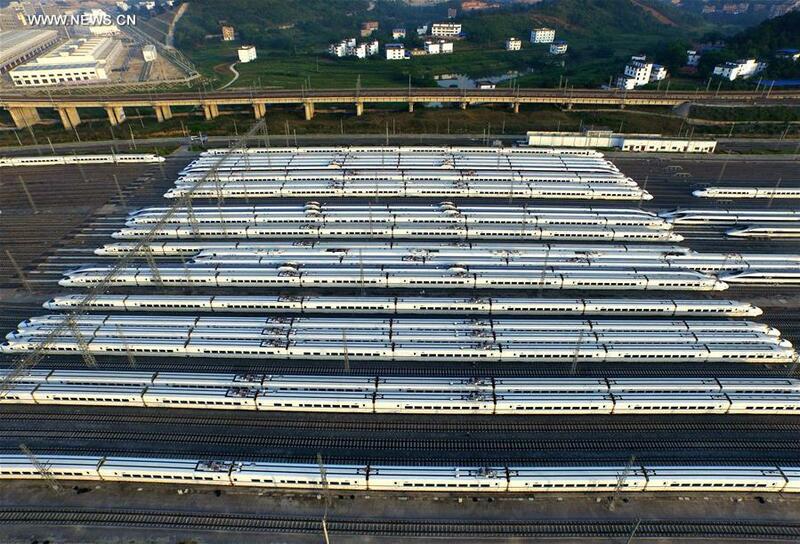 China's early high-speed supertrains were imported or built under technology transfer agreements with foreign train-makers including Alstom, Siemens, Bombardier and Kawasaki Heavy Industries. Over the time, Chinese engineers then re-designed internal train components, built indigenous trains and made significant improvements that can reach operational speeds of up to 380 km/h (240 mph). The Guiyang–Guangzhou High-Speed Railway under construction in Yangshuo, Guangxi in August 2013. This line traverses 270 caves and 510 valleys in the karst landscape of southwest China. 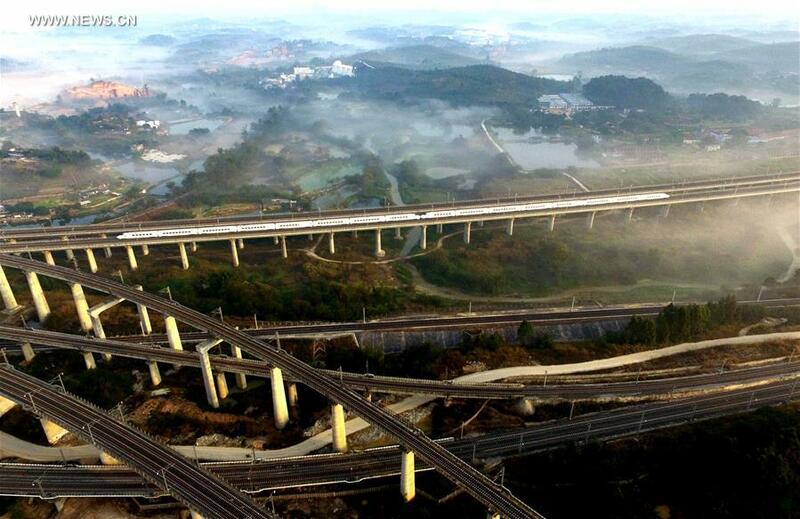 Bridges and tunnels consist of 83% of this line's total length of 857 km, including 92% in Guizhou Province. 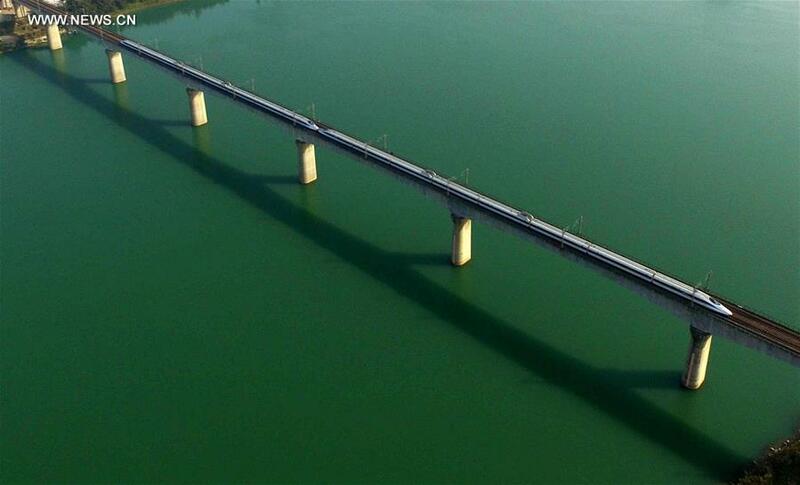 Travel time by train between Guizhou and Guangzhou was reduced from 20 hours to 4 hours. 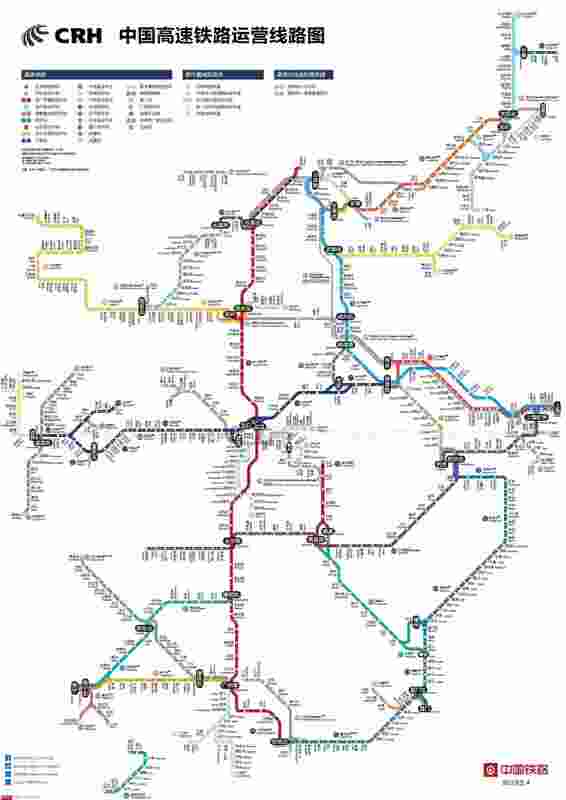 Recently, a netizen in China drew a nationwide high-speed railway network in the format of a subway map. This straightforward and clear map saves travelers tons of work in planning for transportation. "I got the itch to travel the moment I saw this map," a netizen comments after seeing the map. 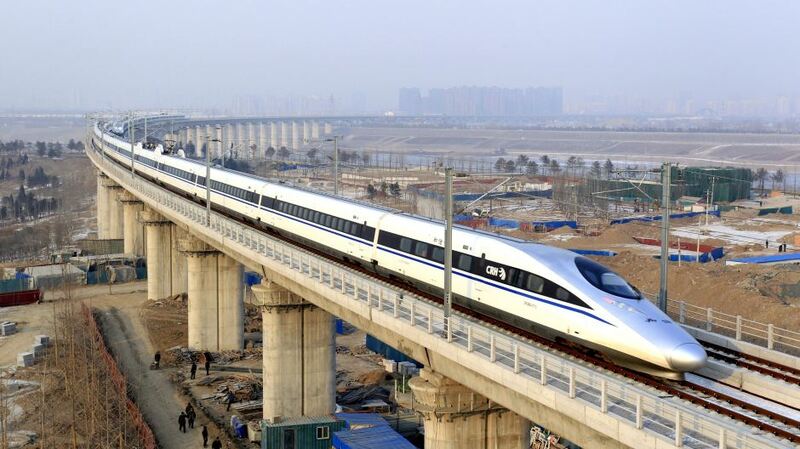 The travelers in China find transportation more and more convenient with the expansion of high-speed rail network. 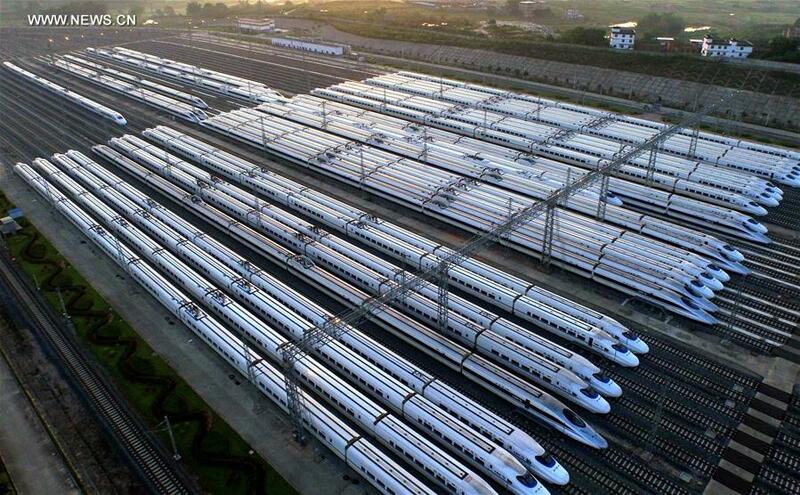 China currently owns the longest high-speed railroads in the world, 19,369.8 kilometers (6,852 miles), by the end of 2014, longer than all the other countries combined. The network is still rapidly expanding, turning the whole of China into the size of a city where transportation is as easily accessible as subway trains. 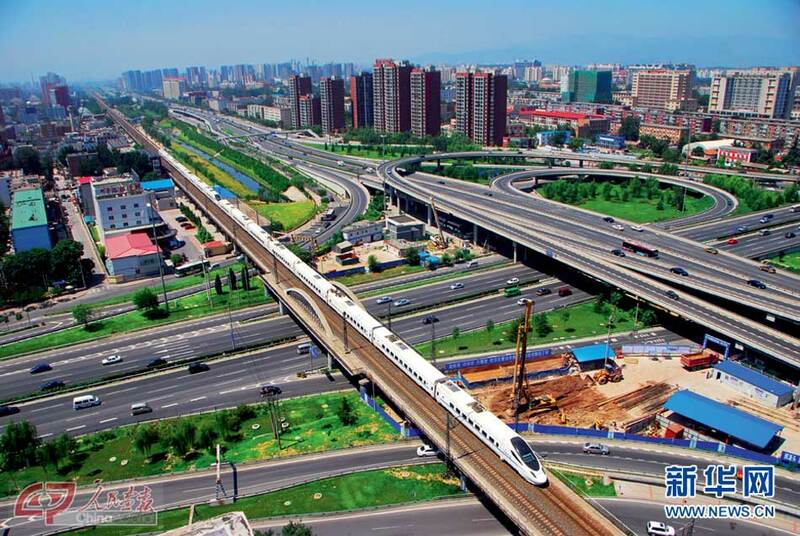 Take Beijing, capital of China, as an example, the high-speed rails to Shanghai, largest city in China, shorten traveling time to 5 hours over a distance of 1318 kilometers (818 miles). It runs on a busy schedule that a train sets out almost every other 20 minutes. 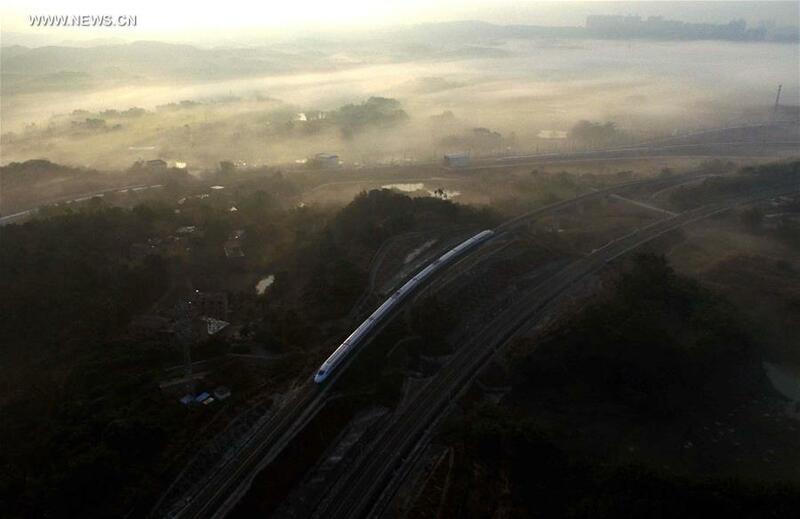 Stunning photos show high-speed trains running across China's Guangxi Zhuang Autonomous Region. 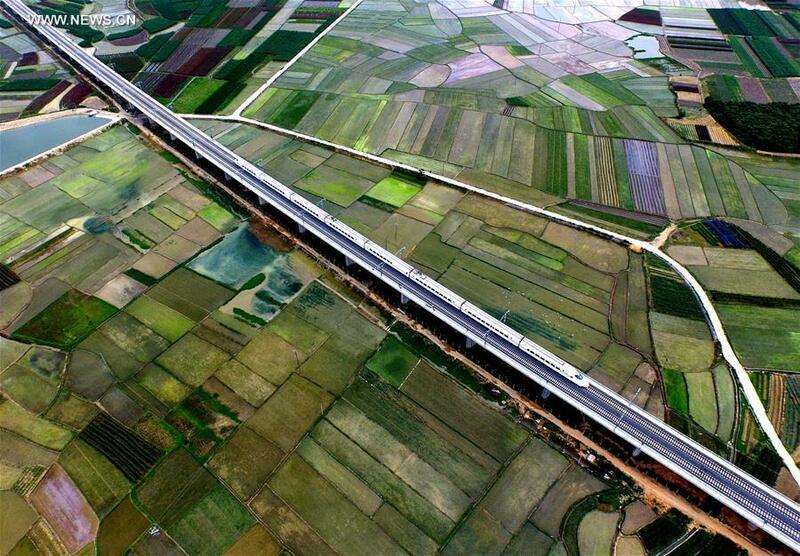 Photo taken on April 29, 2016 shows a bullet train running through fields in Tianyang County of south China's Guangxi Zhuang Autonomous Region. Photo taken on Feb. 13, 2016 shows a bullet train running on Tunli grand bridge in Nanning, capital of south China's Guangxi Zhuang Autonomous Region. 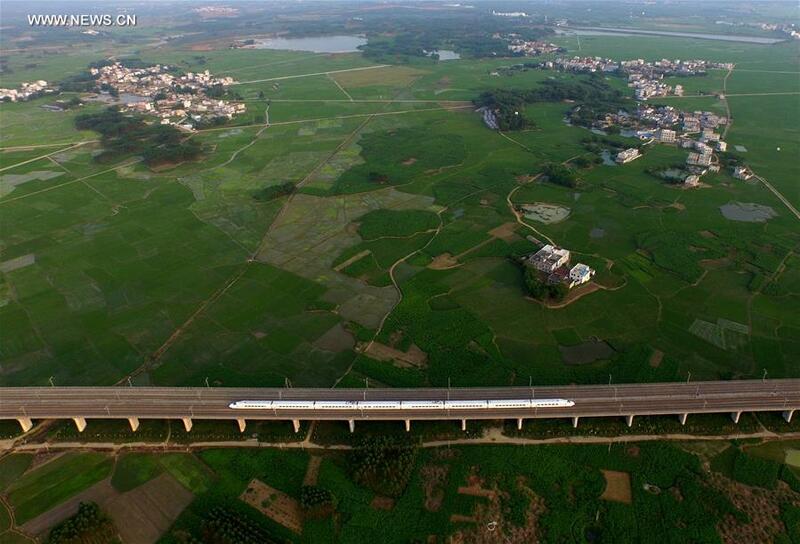 Photo taken on April 21, 2016 shows a bullet train running through fields in Binyang County of south China's Guangxi Zhuang Autonomous Region. Photo taken on Feb. 12, 2016 shows a bullet train running on Tunli grand bridge in Nanning, capital of south China's Guangxi Zhuang Autonomous Region. 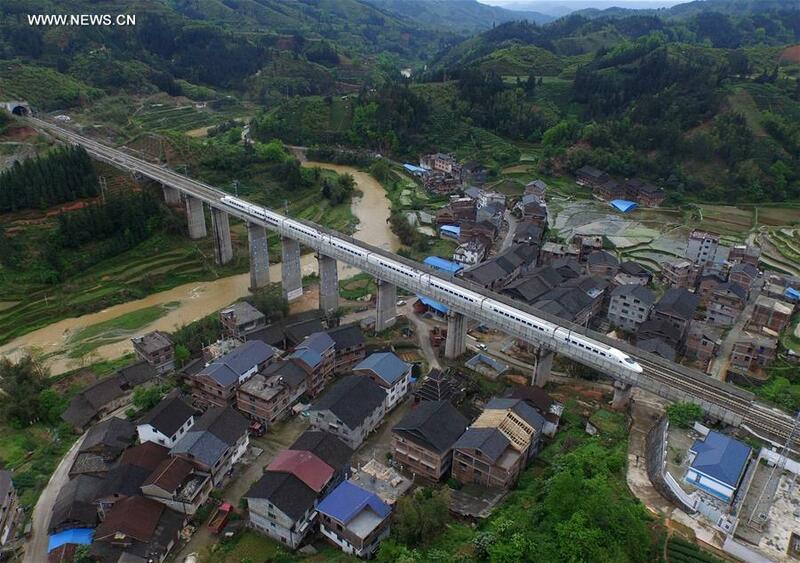 Photo taken on April 8, 2016 shows a bullet train running through mountainous area of Sanjiang Dong Autonomous County in south China's Guangxi Zhuang Autonomous Region. Photo taken on April 28, 2016 shows a bullet train running through fields in Binyang County of south China's Guangxi Zhuang Autonomous Region. Photo taken on Feb. 12, 2016 shows a bullet train pulling out of Nanning East Station in Nanning, capital of south China's Guangxi Zhuang Autonomous Region. Photo taken on May 17, 2016 shows bullet trains in Nanning, capital of south China's Guangxi Zhuang Autonomous Region. Photo taken on Feb. 6, 2016 shows a bullet train running over a river in Liuzhou of south China's Guangxi Zhuang Autonomous Region.